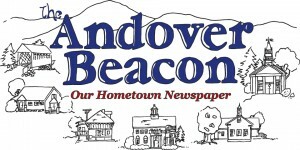 The Andover Historical Society will host a Holiday Gathering at the Museum on Thursday December 6 from 4 PM till 6:30 PM. The event will take place in the old Post Office/Store building opposite the Potter Place Rail Station. Visitors can enjoy free cookies and hot cider in a cozy historical setting. The museum will be livened up with seasonal decorations and music. The museum shop will be selling books, calendars, prints, toys, tee-shirts, and christmas ornaments. If the event is a success, the society plans to hold a similar event next year. We are considering expanding the event in future to including community carol singing in the historic rail station. Come down and support your local historical society!